We're getting closer to June 2nd when the new Stampin' Up! catalog goes live. With the new catalog coming out, SU is retiring lots of wonderful goodies. 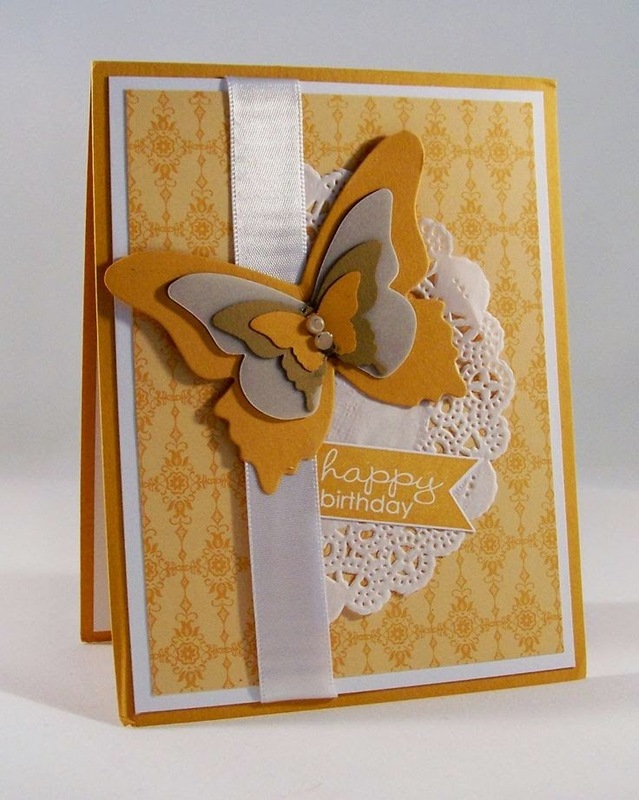 The base of this butterfly made with the Beautiful Butterflies Bigz Die is one of those retiring products. I'm sad to see it go, and will be keeping mine. As you can see it layers beautifully. Be sure and check the list of retiring items on my online store by clicking on the shopping cart on the right, or by clicking the product below. Thank you for stopping by. Have a happy Monday. absolutely gorgeous card! i'm so glad i have that die too. hope u r well and enjoying some nice weather!